The Haverstraw RiverArts, The Village of Haverstraw and the Ludwiczak Family is honoring the life of Ted Ludwiczak with the unveiling of the iconic sculpture, Hendrik, on Saturday, April 22, 5 p.m. at The Gazebo in Emeline Park on 16 Front Street, Haverstraw. 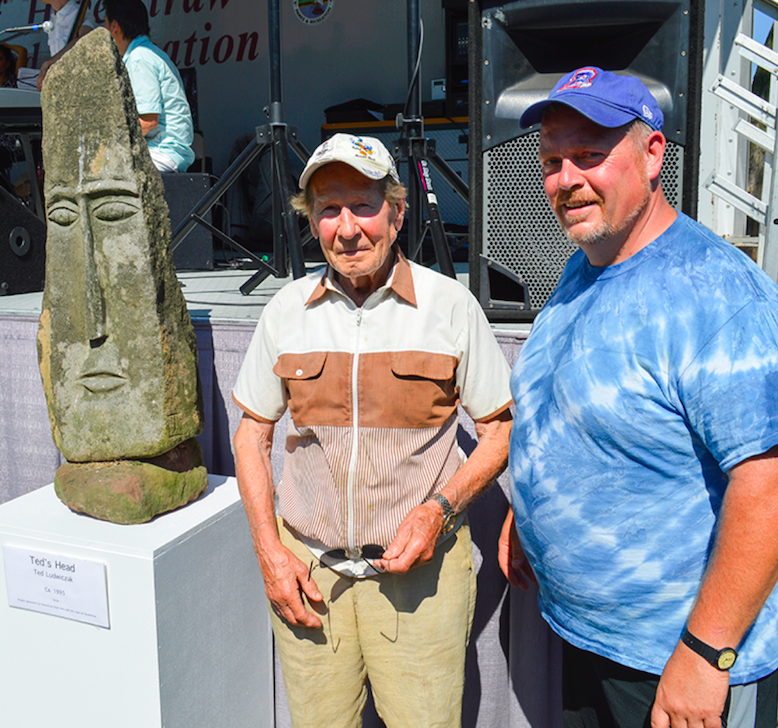 Theodore Ludwiczak (1926-2016) became recognized for his artistic abilities to carve and create sculptures out of locally found rocks, which he dragged from the Hudson. These sculptures were sometimes referred to as an “Easter Island” community of heads that populated his steep Hudson River shorefront property, with engaging eyes that called to passing boaters and people who travelled from far and near. The sculptures became known as “Ted’s Heads”. His art has also been labeled Outsider Art, Naïf and Primitive Modern as well as Folk Art. Ted’s message on his answering machine framed him, “Go to life with a smile and an open mind”. His sculpture is represented by The American Primitive Gallery, NYC. Ted’s Heads are on view locally at the Garnerville Arts & Industrial Center, the Rockland Center for the Arts as well as nationally. Guest speakers include Aarne Anton from the American Primitive Gallery, NYC and the Hon. Mike Kohut, Mayor of the Village of Haverstraw. To RSVP, please contact Doris Laughton-Smith at 845-598-9713.